I am back with a slightly different sort of book to review this week, a visual, Instagram-esque book. Thanks so much to Simon and Schuster Canada for sending me an ARC of Hot Dudes Reading for review, all opinions are my own! This was such a great book! I recently stumbled across the Instagram account and this book is just as hilarious! Great, funny, quick read that makes a perfect coffee table book! 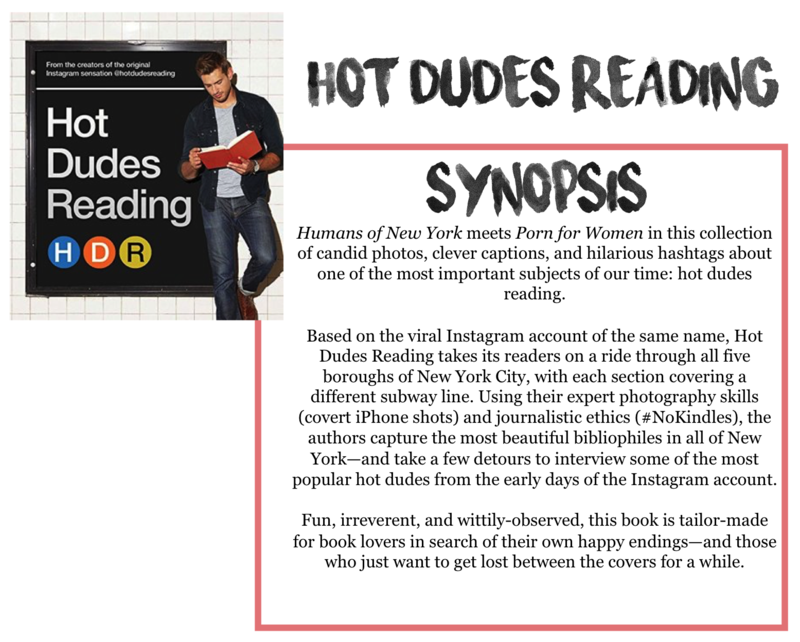 I love how while this book focuses mainly on attractive men reading (obviously), there's also references to architecture and various locations within NYC that are stunning as well. The collection of photos and captions were great, and the interviews with a few of the features were fantastic too! I'm going to keep this review fairly short, because I don't want to say too much about this book, it is more of something that you need to read and experience for yourself! If you are a true book lover (#NoKindles), you will love flipping through this book! Luckily, it comes out tomorrow!